Do you know that logo? It's the logo of the Open Source Initiative, a non-profit formed to advocate for the benefits of open source, and de facto, the logo for open source stuff in general. Personally, I rarely see that logo used anywhere, which is a shame. For the sake of promoting Open Source, and because I like that logo (sort of an open lock, see? ), I think it would be great if that logo was much more common that it is today. 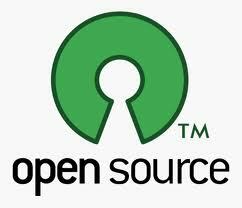 Anyway, the other day I stumbled upon the Green Lantern logo and the similarities with the Open Source logo immediately occurred to me. I thought it would be fun to make a mashup of the two, which I did. But then, why stop? So, during the last few days, I've been having some Photoshop fun and made, so far, ten Open Source Super Hero logos. Can you name them all? Feedback, criticism and suggestions for other Super Heroes welcome!